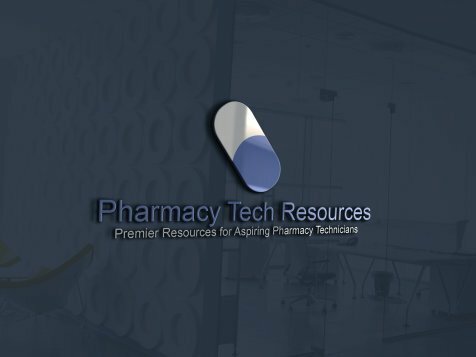 As in all professions, a Technician is faced with a specific vocabulary, complete with pharmacy abbreviations, that comes into play when performing duties connected with the job. Unlike other professions, this set can lead to catastrophic, if not fatal consequences if any of them are misinterpreted. From the time that there have been healers and a writing system, there has been a need to have someone who could read and often prepare the medicines that the healer prescribed, especially if he/she didn’t prepare the medicines personally. Once upon a time, it was necessary for any trained medical practitioner to know Latin in order to work as either a pharmacist/apothecary or medical doctor. This came about because the first medical and pharmacological texts widely used by those in the medical profession were first written in Latin. In the two centuries prior to the 1900s, Latin was considered to be a language that all men HAD to know to be considered “men of letters” --- in other words it was a sign of good breeding, education and superior intellect to have a working knowledge of the language. This belief was reinforced by the scientific community in Victorian times when Latin was used almost like a secret code to help separate them from the common masses. This continued even when the doctor and pharmacist split off into separate fields that worked closely together. Even though the reason for the study of Latin began to take on a more practical reason --- namely that it was still necessary to study it to better understand the terminology in use in medicine --- the subtle predisposition that it was necessary to be “a man/woman of letters” still held sway into the middle of the 20th century. As late as 1967 any doctor or Registered Nurse who studied for a university degree were required to pass at least a year of Latin or they could not graduate. Today, the language requirements demanded by some schools are more geared to helping the perspective practitioner treat patients who are not necessarily native English speakers. Many colleges and high schools no longer even offer courses in Latin, preferring instead, to concentrate funding on languages that are spoken actively in the world today. Those that still do offer Latin studies frequently only do so as a part of a “Classics” department necessary for the academic studies of ancient texts and literature. Many of the pharmacy abbreviations currently in use today came about as a result of the need for the doctor to quickly be able to write down a specific medicine, how it should be administered and how often. 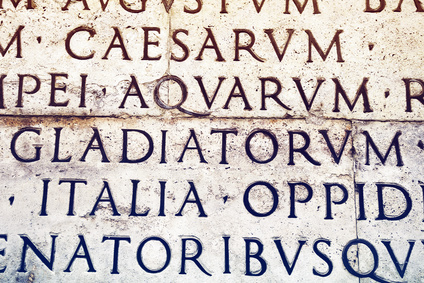 Since Latin was the language most commonly used, many of the abbreviations currently in use were based on the Latin directions used by the medical community. Other pharmacy abbreviations, like “tsp” for teaspoon came into use because they were commonly understood and used widely by society for activities like cooking. Still others, like “gr” for grain and “ml” for milliliter came about due to the tiny, precise measurements specifically in common use by scientists to measure the components used in making a formula. In recent years, this list of pharmacy abbreviations has become fairly standardized throughout the US. Problems here arise when a practitioner uses the wrong abbreviation due to some having more than one meaning depending on the context. In the past, problems also arose when practitioners used a different meaning for the pharmacy abbreviation according to where they were educated. If a practitioner moved to another area with a different set of meanings, potentially disastrous mistakes often occurred. As late as the 1990s, how a doctor trained in another region wrote up a prescription could raise red flags that it might be forged if it did not adhere to local wording standards. There has been a push by groups like the Pharmacy Technician Certification Board and the Institute for Safe Medical Practices to adopt a single, unified set of abbreviations that are easily understood and that should be used across the board by professionals, no matter what state or part of the country the individual was trained in. There are additional strides to reduce medication errors being implemented with the sponsorship of the Federal government. These steps include measures like e-filing a prescription or specialized software that is being utilized more and more by physician’s offices that produces a legible, standardized printed prescription for the pharmacy. Like the necessity for an in-depth knowledge of Latin, it looks as though handwritten prescriptions, with their attendant legibility errors, may be becoming a thing of the past.